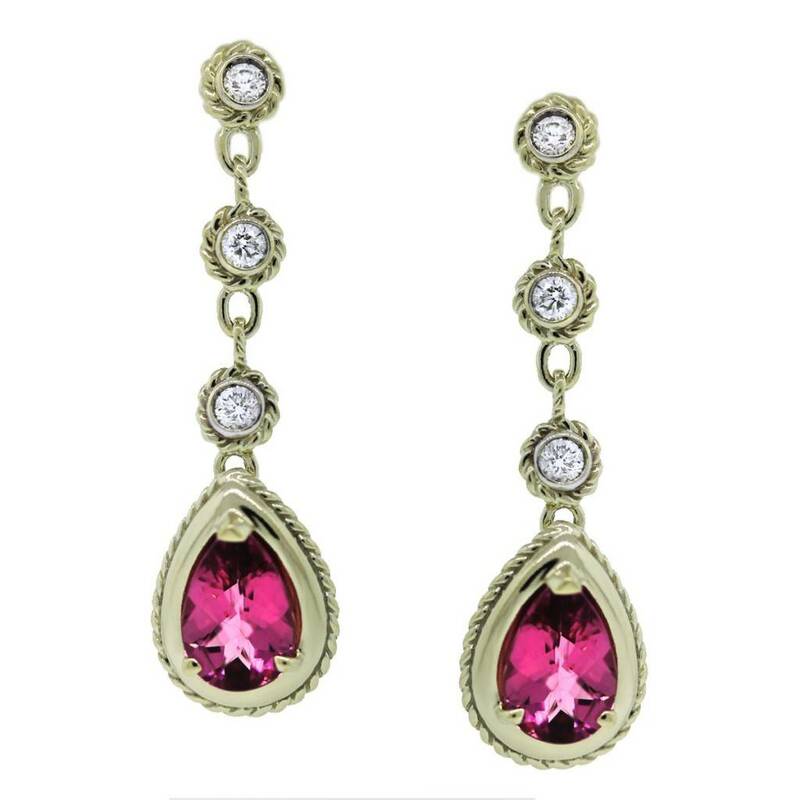 Gemstones 1 Pear Shaped Pink Tourmaline Gemstone Per Earring. Categories: Earrings, Gemstone, Jewelry, with Diamonds. Tags: Diamond Jewelry, Diamonds and Gemstones, Drop Dangle Earrings, Drop Earrings, Gemstone Jewelry, Pink Tourmaline, Tourmaline Jewelry.